As a professional hairdresser or barber cutting hair frequently or just a regular person who gets his hair cut you’ve probably come into contact with hair clippers at some point in your life. Both women and men can get their hair cut with Hair Clippers depending on the style of hair cut they want. As a barber with mainly male clientele, Hair clippers are your go-to hair cutting tool and therefore you will need not one, but two or more decent clippers of a reputable brand name. 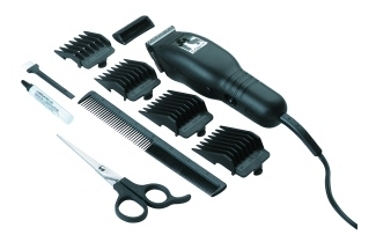 Their are a number of Hair clipper brands and models on the market, but only a handful really manufacture decent, good quality, heavy duty clippers that can be used by professionals and for long periods of uninterrupted use. The average consumer who buys one of these hair cutting tools for home use has a wide variety to choose from and most of them will do, however as a barber you cannot just settle for any one. You need to make sure that you get the right tool for the job since this will effect your work and your client’s satsfaction. The best-known brands for electric hair clippers are Wahl, Andis, Oster, Conair, Remington, Panasonic, Hot Tools, and the Philips Norelco range. While a normal consumer would take the price as an important factor in making his choice, as a professional hairdresser or barber, this should be at the very bottom of your priority list when making your choice. 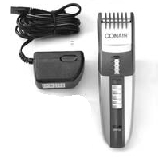 As this post, outlines, choosing an adequate hair clipper should be based on a number of factors which are much more important than the price. These include, what type of motor you will need, the handling and design of the clippers and what kind of blades it has. Brand reputation is also important but if you go for one of the brands we mentioned above you don’t have to worry too much as these all take their quality control very seriously and compete at the very top of the industry. Another important factor to take into consideration is the comb guards that are available for the clipper. This is extremely convenient and fast when you have certain hair styles which require 3 or 4 clipper size changes in one sitting. Listed below are the standard blade guard lengths that usually come with hair clippers ranging from closest cut to longest hair length. These actual sizes may vary slightly between different brands however more or less they are very similar. Your tools are the most important thing in your barber shop and therefore you need to make sure that you maintina them in perfect working order all year round. This requires regular maintenance so that you prevent damage rather than having to fix problems when they occut. You can use Barbicide to clean the electric razor heads. Most hair pros always keep a stock of Barbicide or a simlar disinfectant available. To clean the clipper properly you need to remove the head from the body and soak the heads in Barbicide. Following this, us a soft brush and carefully brush all the blades to remove any hair residue and dirt. This will make sure the blades are completely disinfected and will help improve their cutting performance. Once you’re done from cleaning the blades, make sure you dry them well avoid corrosion. I like to let them air dry on a clean towel before reassembling them together. It is also important to lubricate the clipper blades with the oil that usually comes in the box. This helps keep the blade heads from sticking together. Another important aspect that barbers need to take into consideration is making sure that the clippers are completely sterile before using them on a new client. For this purpose it’s a good idea to invest in a professional Sterilizer machine for clippers which can set you back around $200. Alternatively you can do this yourself but it will take much longer. Whatever you do make sure the heads of the razor are completely sterile since you will be using these on a number of different clients and you don’t want any unpleasant surprises or worst yet a law suit. Here’s a video that demonstrates how barbers can clean and sterile their clippers. Why do so many choose the Braun Series 7 799cc? American Crew Fiber Review – Is this the Best Hair Styling Product?